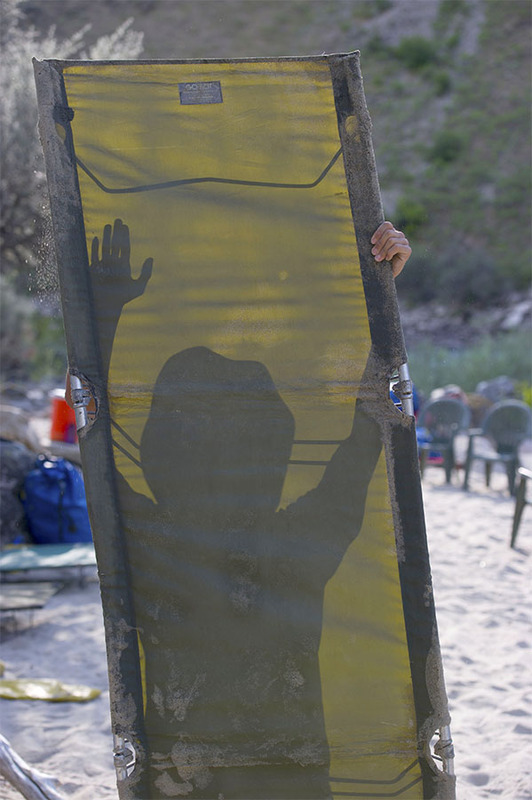 A scout knocks sand from his cot as he preps his camp spot for the night on the raft trip. St. Croix Boy Scouts,Troop 227 during the their whitewater rafting trip down the Salmon River in northern Idaho. This entry was posted on Sunday, July 14th, 2013 at 5:18 pm	and is filed under . You can follow any responses to this entry through the RSS 2.0 feed. You can leave a response, or trackback from your own site.